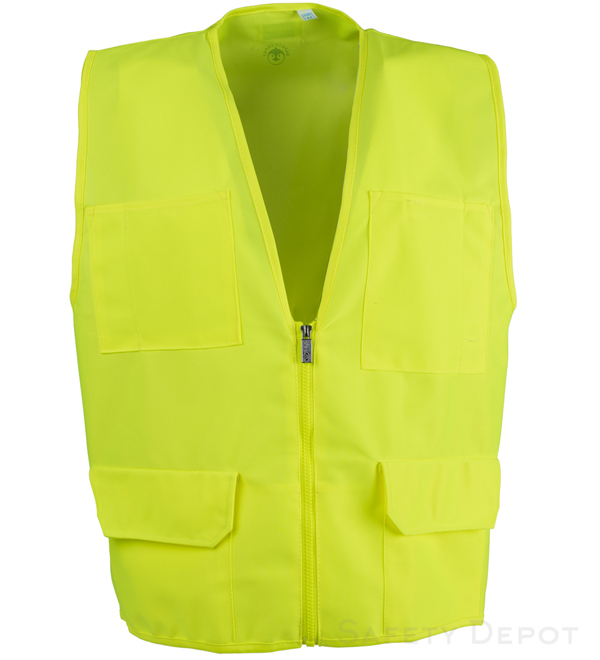 One of our most popular multi-pocket classic safety vest, definitely the best buy if you do not need Reflective Stripes. From Anonymous of York, Nebraska on 10/1/2018 . From Art of Green Cove Springs , Florida on 5/3/2018 . Excellent quality and value at a great price point. From Karen Davis of San Diego, California on 1/11/2016 . Very pleased with this product. These vests clean easily and hold up well. From Scot Doss of Tacoma, Washington on 6/3/2015 . Our people really test these vests in their work. They stand up to it very well.